Your Car's Ultimate Performance Potential Starts Here! Get greater performance through improved stiffness and strength! A flexible chassis leads to misalignment of the suspension during hard cornering situations and lowers overall performance potential; equaling less enjoyment from your car. Popular upgrades like solid bushings, stiffer springs, shocks and anti-sway bars just make the problem worse. In fact, no other suspension upgrade can work to its fullest if a flexible chassis won't let it, which is why we created our Ultimate Chassis Brace! 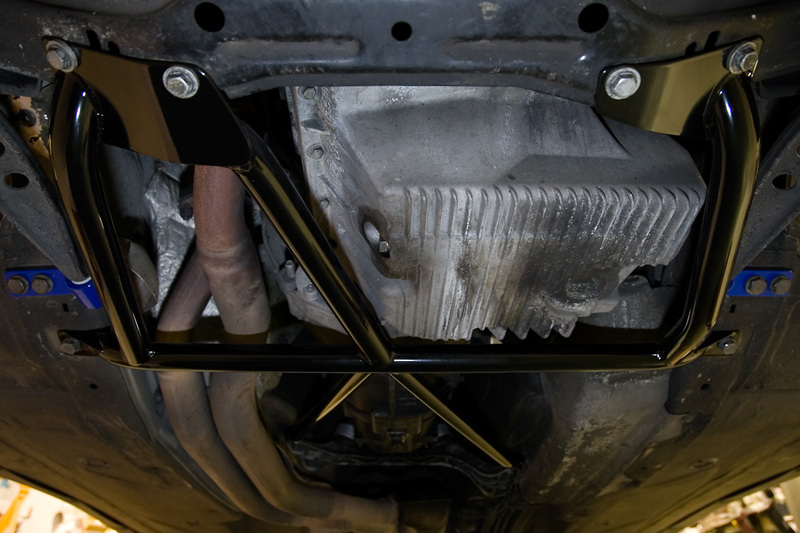 Designed to tie-together the entire lower front-half of your car, our Ultimate Chassis Brace is the only solution engineered to allow full potential from your performance upgrades, suspension components, tires, etc. for maximum performance and enjoyment. Ultimate quality for ultimate fit and performance! Made from 4130 chrome-moly aircraft tubing, TIG welded and jig-built, the Fast Fab Racing ultimate chassis brace improves all 6-cylinder, 1992-1999 BMW "E36" 3-series cars with 5 speed manual transmissions. 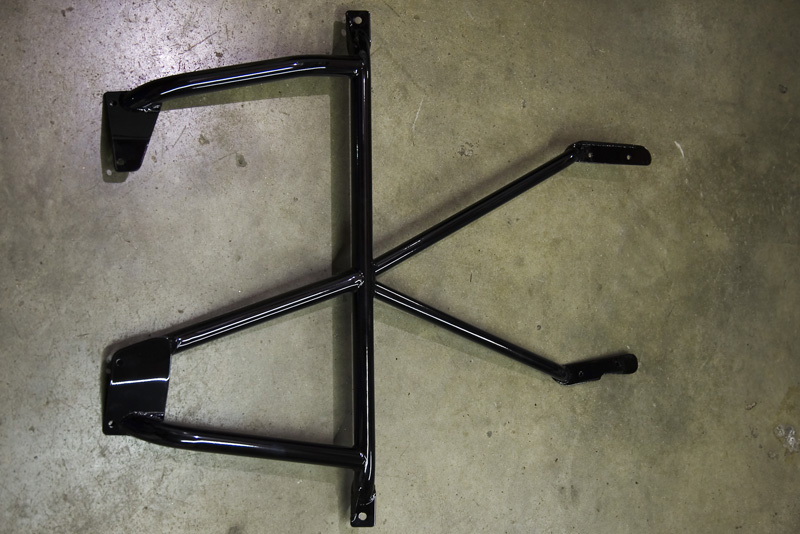 The product weighs less than 9.5lbs and is powdercoated gloss black for superior appearance and longevity. Additional mounting hardware is included, however cars built before October 1994 require BMW "Nutserts" (part number 51 71 8 175 003) and special installation. + Free shipping within the continental United States! This product works best with our Ultimate Strut brace.